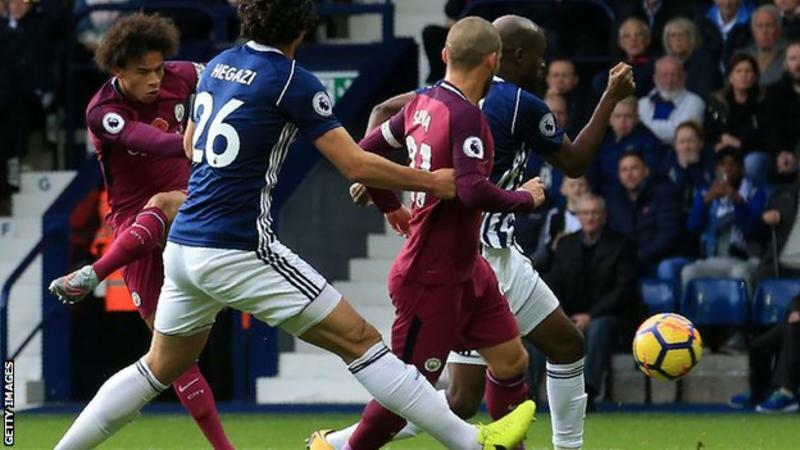 Leroy Sane inspired Manchester City to their eighth successive Premier League win with victory at West Brom which re-established their five-point lead in the table. The Germany winger joined Sergio Aguero and Gabriel Jesus on eight goals for the season when his vicious strike from 15 yards flew past keeper Ben Foster. The Baggies hit back only three minutes later when Jay Rodriguez lifted his effort past Ederson after Gareth Barry played him in. But the euphoria from the home support once again returned to derision soon after the restart when Sane supplied Fernandinho and his drive deflected off a couple of Baggies players and hit the foot of the post before trickling in. 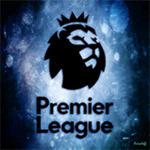 West Brom once again sat back after the break and were punished in the 64th minute when substitute Raheem Sterling tapped in his ninth of the season after a swift move started by the excellent Sane. Matt Phillips anticipated well to score Albion's second late on, after City defender Nicolas Otamendi tried to chest the ball back to his keeper Ederson but there was barely enough time for West Brom to mount another attack as City made it 28 points from 30.